reservations are recommended for parties with five or more. 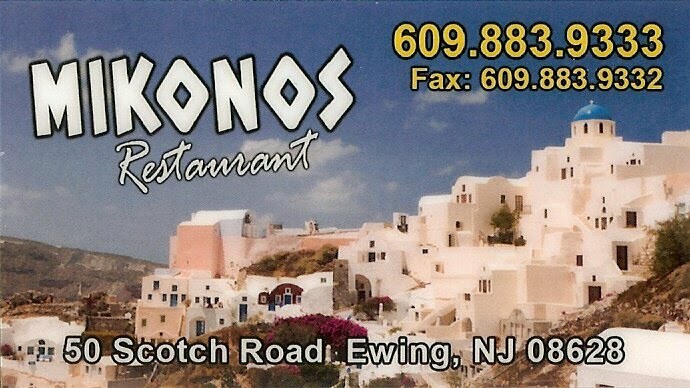 We here at Mikonos prepare your food - a la Greque! Studies have shown that cooking the Greek way can lead to a longer, healthier life. Our dishes are prepared with extra virgin olive oil, fresh herbs, the finest cuts of meat, vegetables, and legumes. Legumes, such as gigante beans and chickpeas, are known to be an important part of healthy eating and are an excellent source of protein and fiber. We would like to clarify some concerns with the on going groupon offer. The offer applies only to items on the prefixed menu available for view on groupon's website and not to our dinner menu as a whole. Any items ordered from the regular dinner menu are additional and purchased at full cost. Sales tax and gratuity are also not included in the purchase as it is clearly stated in groupons fine print also found on their website. Reservations are required for groupon as we would like to accommodate new and existing customers. click the link above to view our current offer. Google Audio Player. Advance by step.